Not sure which visual supplies to use? We have assembled an assortment of our most popular supplies. 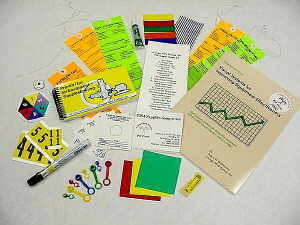 This kit (#045) allows you to demonstrate the “visual” possibilities in your training sessions.